Since I first got my very first make-up brushes (by Sigma, actually), I started looking for a perfect way to clean them. Truth to be told, I was never very keen on it, which is quite a shame. Anyway, as the amount of brushes started to grow, the need for the perfect method in terms of time consuming and actually cleaning efficiency, became almost a mission impossible! 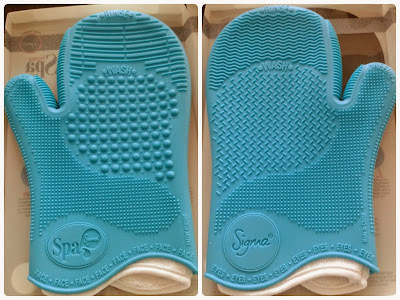 Until Sigma released the so famous Sigma Spa Brush Cleaning Glove. I lost count how many reviews I read or movies I watched about this glove; it sounded a good thing to have but the price was never in its favor. But the time as come, and I finally ordered my Sigma Spa Glove from a Dutch webshop called The MakeUpSpot. This way, I didn't have to pay import tax, which always happens if I order something from the USA (where Sigma is located). 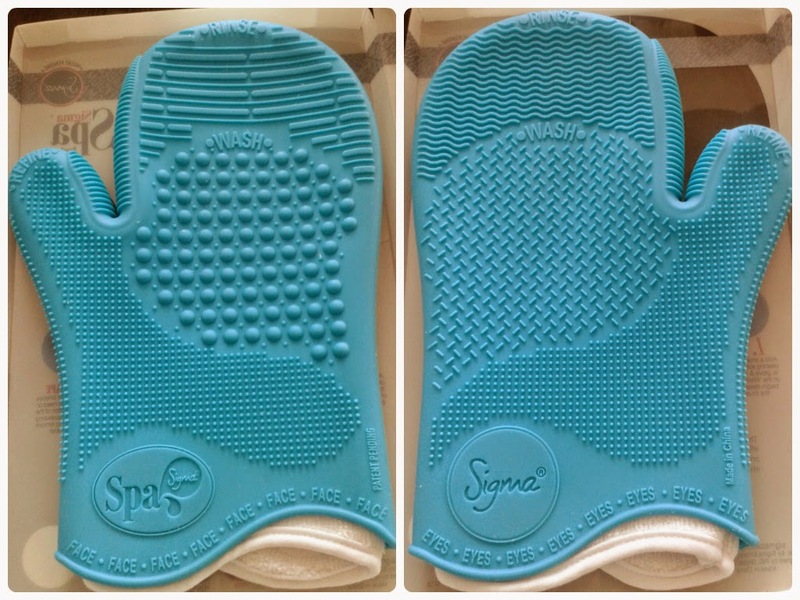 But let's get to business; here's the Sigma Spa Brush CleaningGlove! The packaging is very minimal, but efficient; it includes some instructions on how to clean your brushes in 5 steps. There are two different sides: Face and Eyes. Each of them have 3 sections: Rinse, Wash and Refine. Plus, there's another section, Shape, in between thumb and the rest of the glove. They all have different structures to improve the cleaning, as face brushes are usually bigger and more dense than eye brushes. My first experience with this glove is nothing but positive!! I could clean 34 brushes in 50 minutes!!! That's an average of 1.47 min/brush!!! Another good thing about this glove is that it's made out of silicone and it has an inner cotton glove for your own comfort. Pretty nice, if you ask me! They are available in 4 colors: black, aqua (like mine), pink and purple. In the USA they are available for $35, but I bought mine for €39.95 via The MakeUpSpot. The service is great; if ordered before 4pm, it will be at your place the very next day (Sunday excluded!). 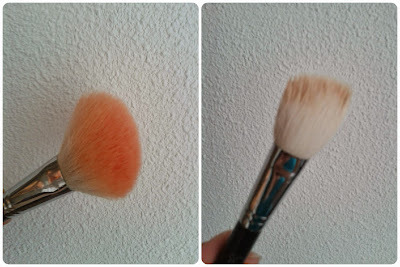 I honestly, recommend this, if you are a bit lazy about cleaning up your brushes (guilty!!!) and don't want to spend a whole lot of time doing it.